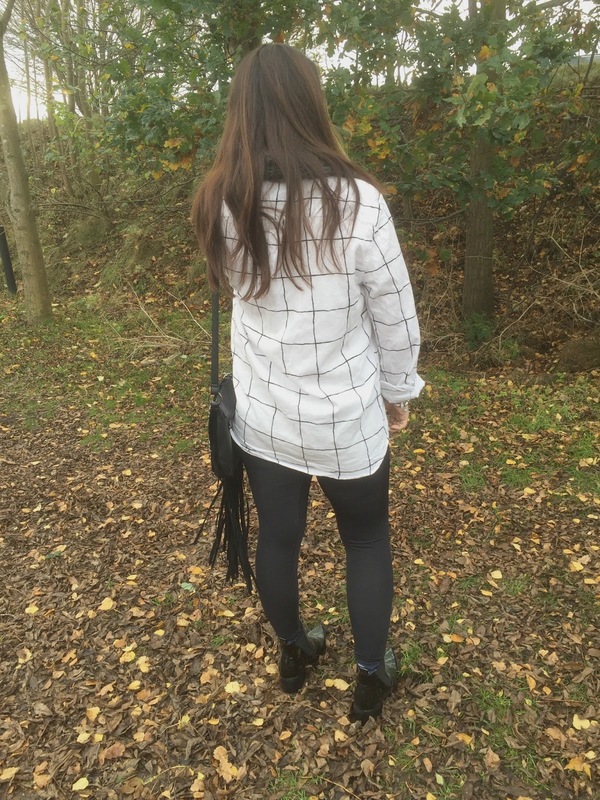 Hey lovelies today's outfit post features a pair of leggings with a difference. I was recently asked to review these Pertz high performing shape wear leggings* that provide shape and comfort. They claim to limit any 'muffin' top appearance and give a smooth appearance to your legs , make your bottom more pert and limit tummy bulges with their tummy support panel. So of course I had to try them. I must admit I found these leggings really comfortable and not tight or restricting like some shape wear garments, they have no tight waistband to restrict you and because of the high quality fabric they just seem to smooth everything out and made my tummy look flat. The fabric has a slight sheen to it which just gives these leggings something a little different from cheap brands, and with these leggings you have no worries about them going thin and see through and being unflattering showing every lump and bump. 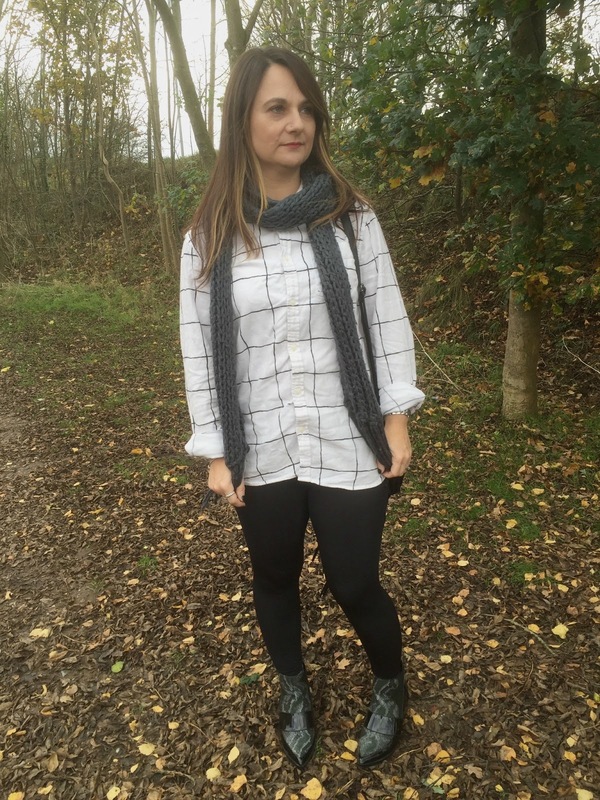 I was very impressed with leggings and have worn them on a few occasions including to work, so if you are looking for a quality pair of leggings that will be not only flattering but comfy too, I would recommend giving Pertz a look. 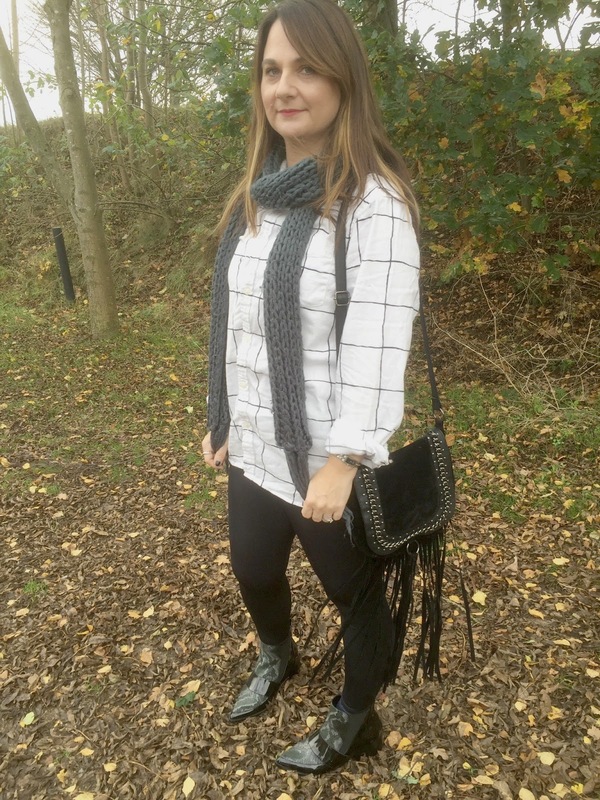 I styled mine with an oversized men's brushed cotton shirt and my new totally awesome asos Pointed Chelsea boots, but you could style these with a big woolly jumper a sweatshirt or dress them up with a smarter blouse and blazer. I hope you liked this outfit. Great outfit! Really loved the bag! Nice to meet you! Gorgeous outfit - love the boots and the fringe bag!